New Urban Arts is an amazing place. duh. That's why I work here, it's why I freaking up and moved here. Almost every day here is, as cheesy as it sounds, filled with an atmosphere of love and magic that despite the many amazing places I have worked, I have not found too often. Any of you that know me personally, know that these aren't words that I just throw around in my every day conversation. But there was something especially incredible about Fort Day that I'm trying to figure out. Looking at these pictures again gives me goosebumps. It was part of spirit week, organized by Noel, a New Urban Arts students who's high school doesn't have a spirit week so he launched one in our studio. It's always a funny thing when youth and artists in our studio adopt/adapt traditions and rituals associated with larger more traditional institutions (churches, public high schools etc etc) that in many ways, New Urban Arts exists in opposition to/protest of (or at the very least to model alternative practices for those institutions). 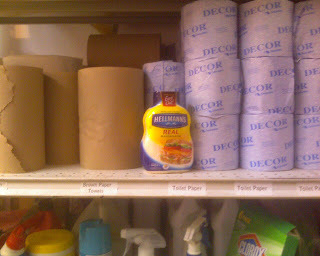 I think of this adoption as forms of subversive acts. We've done this with our all-night art lock-in, which is something I've always associated with church and youth groups and many of the religious traditions I've personally chosen to walk away from. Our first lock-in was actually proposed by a young person who had been active in her church and wanted New Urban Arts to do our version of a lock-in. It's now grown into a giant youth-led/organized annual tradition that youth look forward to every year. A lock-in with no Jesus our saving of souls. A chance to revert back to our most basic childhood impulses. Tearing cushions off our couches, stacking branches in the park, tying bedsheets together, how many of our first creative experiences may have just been stacking crap in our house as small children and crawling through them? Who teaches us to do that? We just did it. To relive that in our studio, which is essentially a giant art clubhouse, is like reliving that early childhood experience but on steroids. A very basic universal human impulse is being triggered here, the need, impulse to build shelter but in a creative artistic context? Where does shelter fall in Maslow's hierarchy of needs? Where does the need to make "art?" Are they anywhere near each other? Maybe there is something here in his interaction (contradiction?) when the pure basic functionality of shelter is crossed with the beautifully absurdist/dadaist exercise of making forts from scraps at New Urban Arts? I don't maybe it was some of those things, all of those things, none of those things. Anyone that was there, I really would love your thoughts. We hope you will join us for our upcoming Conversation on Creative Practice. Wednesday 3/24 at 7pm at New Urban Arts 743 Westminster. Abigail Satinsky of InCUBATE (www.incubate-chicago.org) will moderate a conversation on Organizing for Creative Practice. Other discussers will include several fine folks of Building 16 (Dan Schleifer, Susan Sakash & Tatyana Yanishevsky), and I hope you will come to talk about the various projects you're organizing towards, or wistfully daydreaming about. More and more, I'm convinced that creative practice is literally world making, and there are lots of different ways to make the world. This morning, I encountered folks making breakfast for friends, others making a window installation, another deinstalling hundreds of portraits, and someone writing a play about sticks. I'm scribbling notes about making things with teenagers and finishing another lantern. There is hope embedded in all of these acts. And I think the hope is that our inner and outer worlds shift or vibrate differently and also, probably, that someone else's world vibrates with us - even a little bit. So that's a tiny bit on making, but what are the structures and resources that help these people, these ideas, and this work, to enter the world? How do we work with current institutions, in spaces between institutions, and also invent our own spaces as need be in back yards, attics, or alongside a riverbed? Where do we find the people, time, and funds to build the worlds that we want to see? And with all of this dreamy stuff, what are some barriers and how might we renavigate or dismantle them? That's what we're talking about on Wednesday, and I am so pleased to have both Abigail Satinsky from InCUBATE and fine folks of Building 16 speak with us about how they've worked around and inside of these questions. InCUBATE acts as curators, researchers and co-producers of artists' projects both in Chicago and nationally. 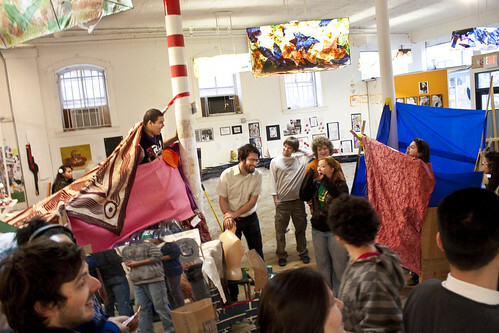 Building 16 operates a studio space, gathering place, and performance venue (by donation) for local and national artists. And your voices will be welcome additions in this and all of our Conversations on Creative Practice. Oh! And there will be snacks. Possibly very special ones. Looking forward to seeing you and yours. Its free. Its at 7. March 24th. Wednesday. At our very favorite New Urban Arts. I was at Arts Advocacy Day at the RI State House yesterday. This annual event organized by RI Citizens for the Arts is important every year, but especially important this year. Governor Carcieri has proposed drastic and disproportionate cuts to RI's state arts council budget. You can read more about how drastic the cuts are and more importantly, how to take action at RI Citizens for the Arts' website. There were a several great speakers yesterday but John Tabor Jacobson particularly struck me with his passion and heart. A RISD grad who has stayed in Rhode Island, JJ has made incredible contributions here. We are especially grateful for his work as an artist mentor at New Urban Arts and all of the volunteer work and support he has provided us since. He's now a leader in green building as the owner of JTJ Investments. Here is a copy of his speech. Enjoy and thank you JJ! For as long as I can remember I have considered my self a creative person and in 1989 moved to Rhode Island to pursue my interests in the arts at the Rhode Island School of Design. I fell in love with Rhode Island and its vibrant cultural scene and never left. Over the last 20 years as a small businessman and entrepreneur I have participated in the creative community in Rhode Island by providing goods and services, volunteering in the community and by being a consumer of local culture. Most recently my area of expertise is energy use in the built environment, which I apply to real estate development, consulting and teaching. My passion is striving to create Net Zero buildings, which by definition create as much energy as they use over the course of a year. My development company focuses on providing sustainable space needs to artists, small business, entrepreneurs and nonprofits in the West Side Arts district. In many ways I feel as though I have come full circle as after 20 years I have returned to RISD to teach part time and share the knowledge that I have accrued over the years. It is an honor. The non-profit community in Rhode Island has been a great source of joy for me. Volunteering at New Urban Arts, The Steel Yard, Community Works RI, The Green Jobs Committee for Workforce Development and The Green Economy Roundtable put on by the RIEDC has enriched my life through community service, and it has also led to countless business and social networking opportunities. No state in America has the ability to network like Rhode Island. It is a case where our size is our greatest asset. I am also a consumer of local culture and have watched with much fascination as ideas that were born here have spread over the world. From bands like Six Finger Satellite and Combustible Edison in the early 90’s to the noise bands of Olneyville like Lighting Bolt and Force Field who ended up in the Whitney Biennial not to mention current success stories Deer Tick and The Low Anthem who appeared recently on the David Letterman Show. From Shep Fairey with his unstoppable Andre The Giant campaign, which started right here in Atlantic Mills, to native sons The Farelly Brothers whose movies frequently feature Rhode Island. From the amazing Ryan Lesser who started out with a video game called Frequency that turned into Guitar Hero and later Rock Band to watching Craftland turn into a national leader in the D.I.Y crafts movement. From model makers at Hasbro designing the latest Star Wars toys to master boat builders in Bristol Rhode pushing the envelope in marine technology. From leaders like Jack Templin in IT community reshaping our digital world to Rhode Island artisan food producers and local farmers rethinking how we eat. The list goes on and on. The creative community is at the heart of what makes Rhode Island a great place to live. Creativity is associated with fine art and literature but it is also an essential part of innovation and invention and is important to such professions as business, economics, architecture, industrial design, graphic design, advertising, mathematics, music, science, engineering and teaching. Currently we are witnessing an age were walls between these professions are breaking down and cross collaboration, creativity and design are enabling us to look at things differently, innovate and improve existing paradigms. Annual conferences held here in Rhode Island like The Business Innovation Factory and A Better World By Design are highlighting and facilitating such conversations. Where one might see failure the creative mind can see opportunity. Creative ideas are often generated when one discards preconceived assumptions and attempts a new approach or method that might seem to others unthinkable. With as broke as many Americans feel our system is, we desperately need new ideas, approaches and methods. Make no mistake small businesses and entrepreneurs fueled by the spirit of creativity and innovation are going to lead us out of our current economic mess. Rhode Island government can choose to embrace this and work to create a healthy environment within which this culture can thrive or it can ignore a historic opportunity to reinvent itself and position Rhode Island to be a leader in the knowledge and creative economy in the 21s century. High School Students at New Urban Arts are organizing a ZINE FAIR for Providence! What is a Zine? A small circulation, non-commercial publication of original or appropriated texts and images. What is a Zine Fair? A day-long celebration of independent media and self publishing at New Urban Arts through workshops, panels, and the selling of small press publications. WHERE: New Urban Arts, 743 Westminster Street in Providence. Book Binding, Comic Illustration, Zines 101 and More! participate in the Zine Toss and other games! Registration for tablers is open! If you would like to sell and distribute your comic, poetry, chapbook, zine, hand-bound letter press, or any other independently published works, please register for a table by filling out the form before April 5. Table space limited so act fast! $5 half table. $10 full table. Set up starting at 11am, doors open at 12pm and it will run until 7pm. I often talk about the need for documentation practices that reflect New Urban Arts' dynamic artistic and learning community. That a range of documentation practices and tools can, when done/used thoughtfully, be a way for a community's members to tell its collective story using their own voices and words, and a means of unearthing the profound in the minute and seemingly mundane. We are now collecting Sandra Olson award nominations. New Urban Arts introduced this annual award in 2002 to recognize individuals and organizations who demonstrate extraordinary commitment to New Urban Arts. Board members, staff, artist mentors and students can nominate candidates, people who share extraordinary contributions of time, expertise, money, energy or support—often without solicitation—going beyond what is asked of them in support of New Urban Arts and its mission. 1. Individual Volunteers: board members, volunteers, consultants, etc. Each year, New Urban Arts gives a Sandra Olson Award to one individual or organization in each category. Under special circumstances as determined by the review panel, more than one Sandra Olson Award in each category may be given. Awards will be given at the Annual Campaign Event, April 15. Sandra Olson Award Nominations are due Monday March 15 to me, daniel@newurbanarts.org. · Additional information that the review panel should know. Nominations will be kept anonymous. If you are a mentor and I havent checked in with you personally, please contact me soon so that we can set a time to do so.